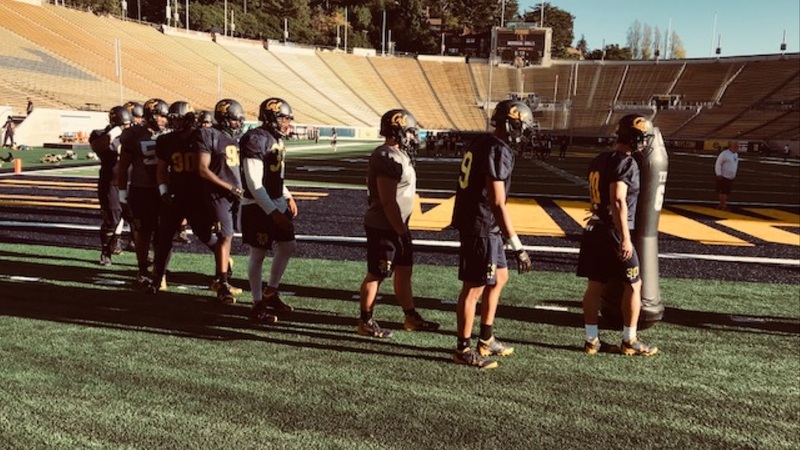 The Bears were back at practice Monday, preparing for Saturday's game against Colorado in Boulder. Much of the talk, at least in Justin Wilcox's media session afterwards, dealt with his decision to try a two-point conversion after the Bears touchdown in the second overtime against Arizona two days earlier. Ross Bowers' pass was incomplete and the Bears lost, 45-44. The reaction on social media and conversation seemed almost equally divided between those who applauded the decision and those who decried it.